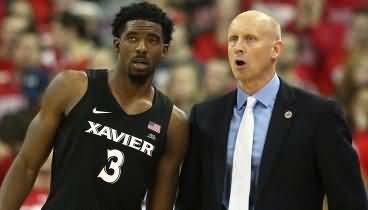 These highly competitive, tough drills are from Louisville Head Coach Chris Mack (former Xavier head coach) and help players become tough "gamers". 24 Second Drill. This is a very competitive, tough drill that you can run at the end of practice. "2 in 1" 4-on-4 Shell Drill. This is the defensive shell drill with special competitive rules. Cut Throat Drill. Make three teams. Depending on how many players you have, you may go 3-on-3 or 4-on-4. On any foul, that team loses the possession on defense. Thus a team can win by either (1) getting three defensive stops in a row, or (2) being the first team to get 5 scores (or whatever number you choose) on offense. Losers run or do pushups.